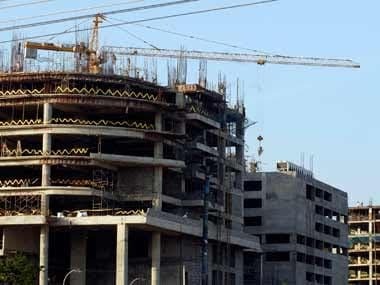 New Delhi: To boost demand in the real estate sector, the GST Council on Sunday slashed tax rates for under-construction flats to 5 percent and affordable homes to 1 percent, effective 1 April. Currently, the goods and services tax (GST) is levied at 12 percent with input tax credit (ITC) on payments made for under-construction property or ready-to-move-in flats where completion certificate is not issued at the time of sale. For affordable housing units, the existing tax rate is 8 percent. With regard to lotteries, the GST Council, however, deferred a decision with Jaitley saying that the Group of Ministers (GoM) will meet again to discuss the proposal. Currently, state-run lotteries attract 12 percent GST, while state-authorised ones carry 28 percent tax. Briefing reporters after the 33rd meeting of the GST Council, Jaitley said the consumers felt that the benefits of ITC were not being passed on to them by the builders, and hence a GoM was set up to suggest changes in taxation on real estate. The union finance minister said that currently GST is levied at 12 percent on normal residential houses and 8 percent on affordable homes after considering one-third abatement on account of land cost. "The council has decided that after removal of ITC, the rates will be 5 percent for normal housing properties and 1 percent for affordable housing," he said. To ensure that the real estate sector does not go back to cash driven on account of removal of ITC, Jaitley said the builders will have to purchase a "very high percentage" (which will be decided by a committee) of their inputs from GST registered dealers. The reduction in rates will give a boost to housing for all and fulfil aspirations of the neo-middle class, he said. The council also expanded the definition of affordable housing for the purpose of availing GST benefits to those flats costing up to Rs 45 lakh and measuring 60 sq metre carpet area in metros (Delhi-NCR, Bengaluru, Chennai, Hyderabad, Mumbai-MMR and Kolkata) and 90 sq metre carpet area in non-metros. 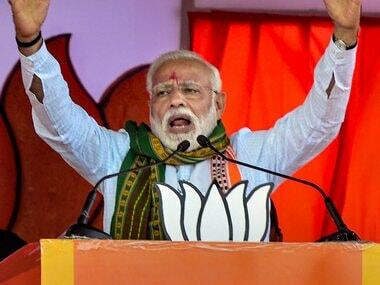 "We have adopted twin definition of affordable housing on the basis of carpet area and cost...We have expanded the definition of affordable housing so that aspiring people can buy slightly bigger (houses), so 60 sq metre carpet area in metros and 90 sq metre outside the metros which approximate translates to a 2-bed room house in a metro and a possibly 3-bed room house in non-metros. This will come into effect from 1 April,2019," the finance minister said. For GST applicability on affordable housing, currently there is no valuation threshold and the calculation of carpet area varies from project to project. 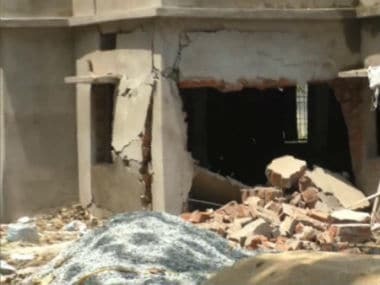 With regard to those properties where construction work has already begun, Jaitley said a committee of officers will draft the transition rules and frame guidelines. "The fitment committee and law committee by 10 March will draft those guidelines and immediately place before the GST Council which will meet via video conference so that ministers do not have to travel to Delhi in election period," he said. To ensure that the real estate sector does not go back to cash economy and to fix the accountability of back supply chain, a very high percentage of goods will have to be procured from GST registered dealer, Jaitley added. "For that back chain, a condition will be put that a very high percentage of purchases to avail of this will have to be from registered dealers. The GoM has proposed 80 per cent. Whether it is 80 percent or more, the group will reconsider it and present before the council," he said, adding this will ensure that the back chain does not go to a cash-based system. 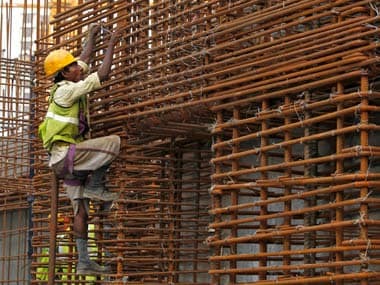 West Bengal Finance Minister Amit Mitra, however, flagged issues with respect to the provision that a certain percentage of goods has to be procured by a builder from a registered dealer. "The industry is going through bad period, (it) should get stimulated but with these complications, they will be caught in inspector raj, they will be caught in hawala," Mitra said. Jaitley further said the officers' committee will also discuss suggestions of states with regard to those apartments where there are commercial space, shops. The committee will look into whether it should be permitted and if allowed then how much percentage. GST is not levied on buyers of real estate properties for which completion certificate has been issued at the time of sale. "This decision is certainly going to give a good boost to the under-construction apartments because people were otherwise waiting for them to get completed, and that was also stopping the money flow into the real estate sector," he said. 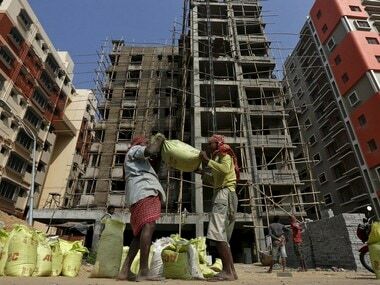 The GoM on real estate under Gujarat Deputy Chief Minister Nitin Patel had earlier this month suggested lowering GST rate on under-construction flats to 5 percent and affordable housing to 3 percent. On GST on lottery, Jaitley said since Punjab and Kerala did not attend the previous meeting of GoM and it was decided that a meeting of panel be reconvened. The GoM has favoured a uniform GST rate of either 18 per cent or 28 per cent on both state-run and state-authorised lotteries. The GST Council meeting which was held on February 20 through video conference to discuss real estate and lottery taxation had to be adjourned for February 24 as non-BJP states demanded that a face-to-face meeting be convened to discuss such crucial issues.